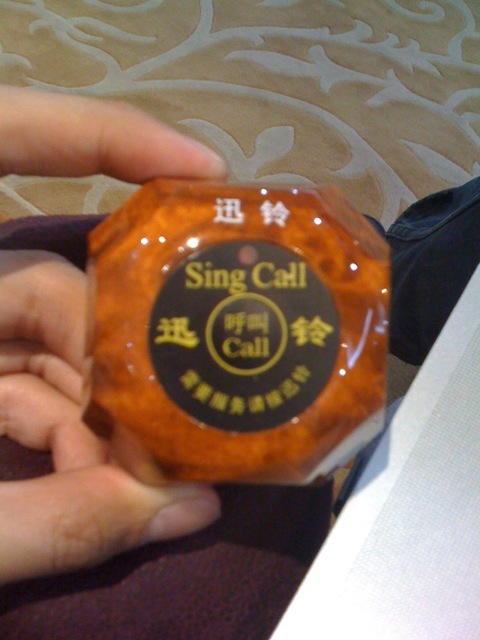 …Which is why this bit of Chinglish isn’t exactly “out-of-its-place”, but is weird nonetheless. 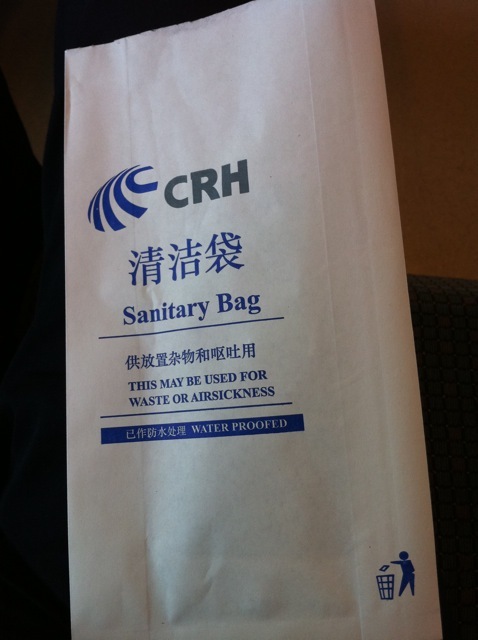 How would an airsickness bag work out on a non-airplane means of transport — a high speed train? Private Airport Lounges: You Must SING to CALL the Waiter! The best things about private airport lounges are (a) I get access to these things; (b) you get a room to yourself (if nobody else is there at that time). So if you feel like playing Robbie Williams at 400 dB, you’re more than free to do that provided nobody goes deaf or something. Unfortunately, the waiters (or waitresses) there won’t come in and serve you, even if you make yourself go deaf, unless you..